The first AMT & TCI studio recordings since the addition of Pikachu, drummer and vocalist with Osaka grenade-girl duo Afrirampo. 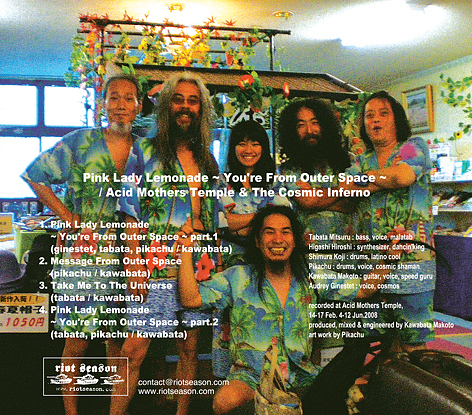 The popular AMT standard "Pink Lady Lemonade" showcases a 21st century acid rock update on the 60s San Francisco psychedelic sound. On 'Pink Lady Lemonade - You're From Space', the Cosmic Inferno crew give PLL a new lease of life and reinvent it as a trippy/chilled out monster. As it rolls on, they sing - adding new riffs and taking it to the stars and back. It's like hearing it for the first time all over again. 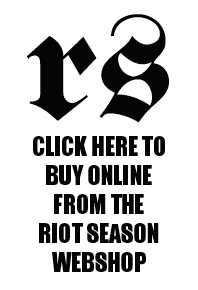 This really could be AMT's first 'summer album'. Unlike previous Cosmic Inferno albums - this one doesn't reach in the red status often - its more out there, like they've gone back to their mountain retreat and taken too much mushroom tea perhaps. But when it does finally soar, Kawabata's guitar has never sounded so alive. "Pink Lady Lemonade, You're from space, You're soooooooooo sweeeeeeeeeeeeeeet!" Much of the albums life is based around two versions of the ATM classic and live favourite track Pink Lady Lemonade with one version bookend either end the album. The first version that opens up the album starts out with clean strummed guitar, spacey synth swishes, female vocalising and Gong like space whispers. Shortly the rest of the bands singing comes in and is rather nicely harmonised and interweaving with each other, before we drop into a rather nice and relatively feed-back free guitar solo for the rest of the track. The version at the other end of the album has a more epic and almost harmonic post-rock feel about it, it start’s off with a fairly clean sounding take on the Pink Lady Lemonade riff before bursting into more rocking and building mode. The two tracks in-between the Pink lady Lemonade are; Message from space which starts off with expanding spacey Glissando Guitar, female space whispers and vocalising again with quite a Gong vibe. Midway in it cracks into 70’s harmonic space rock riff with of course spacey synth curls and ebbs around it. And the other track is Take me to the universes which starts off with synth space whizzes and wails before dropping into a mixture of Glissando Guitar space guitar meets Hawaiian vibe that slowly build’s up into slightly more rocking vibe, but never gets too fiery- with some male harmonic singing over the top. 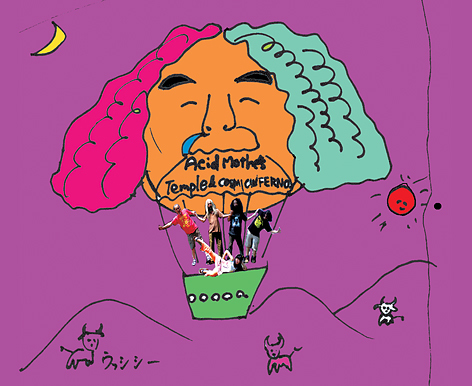 Reviving the live staple 'Pink Lady Lemonade', psychedelic noise travellers Acid Mothers Temple take a trip to 1967, matching up some sweet, vintage guitar lines with the more espoteric, electronic elements we've become accustomed to. 'Message From Outer Space' and 'Take Me To The Universe' flirt with a more melodic accessible side of the anachronistic psychedelia that's at the heart of the Acid Mothers Temple sound, while the two-part epic 'Pink Lady Lemonade - You're From Outer Space' sounds better than ever, held together by a simple, yet utterly memorable guitar riff and adorned with all manner of freeform noise intersection and monstrous, unwieldy guitar solos. It's just awesome, and not one to be missed. 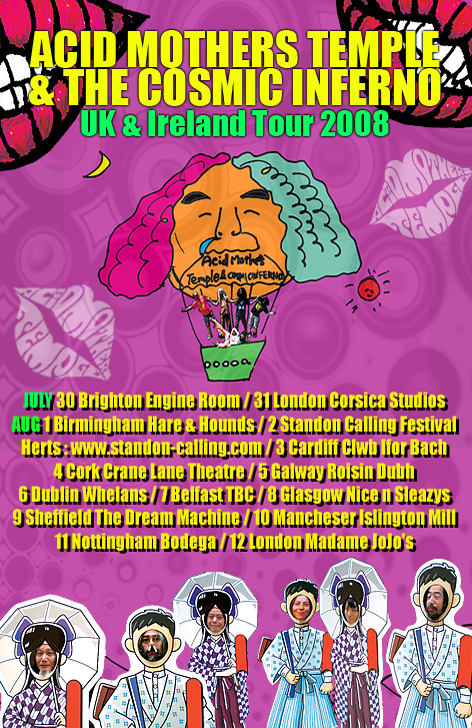 Acid Mothers Temple Cosmic Inferno in a studio release, an amazing combination of 60's psychedelia and electronics that manages to keep a lid on the seething power and vaguely overdosed qualities of previous Cosmic Inferno releases - recommended!